Well, last week my page was titled "Late, late summer" and sure enough this week fall came. 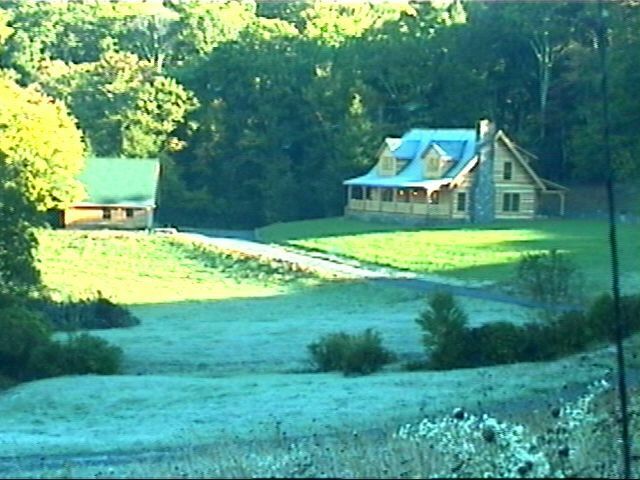 We had the first really hard frost at the Ranch this week. 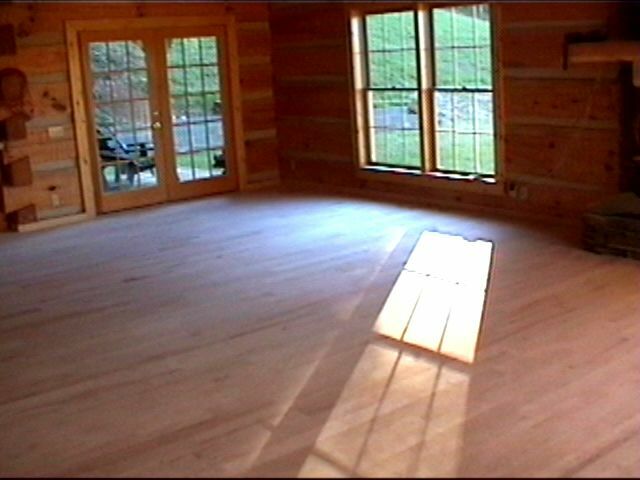 Also this week I had to move my camp out of the house so that the floors could be sanded and finished. This is a very beautiful morning! 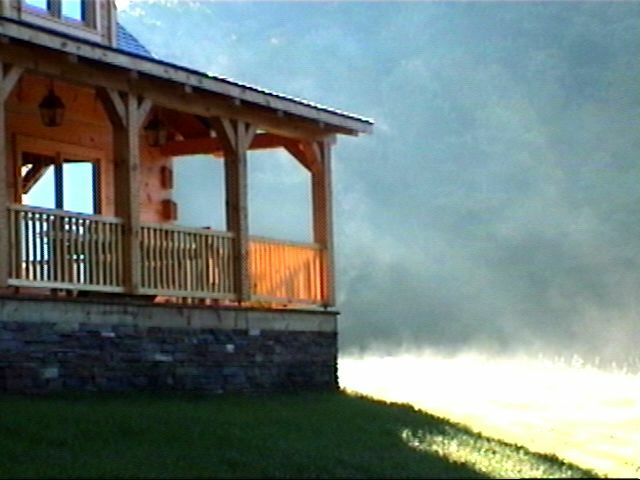 This shows the mist rising from the pond. 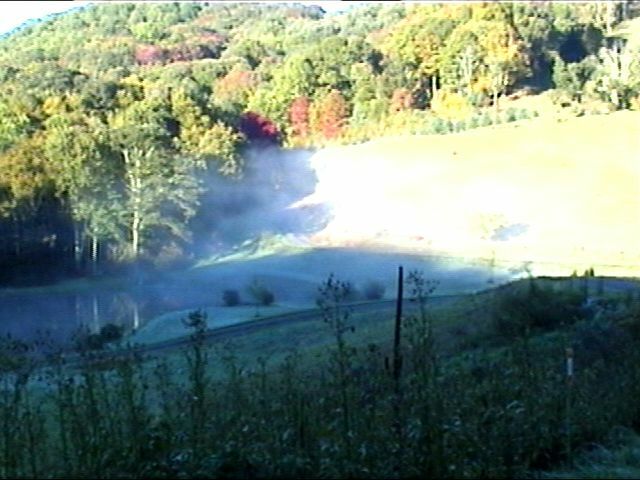 With the sudden change in air temperature over the last couple of days the pond in still warm and the air is very cold. 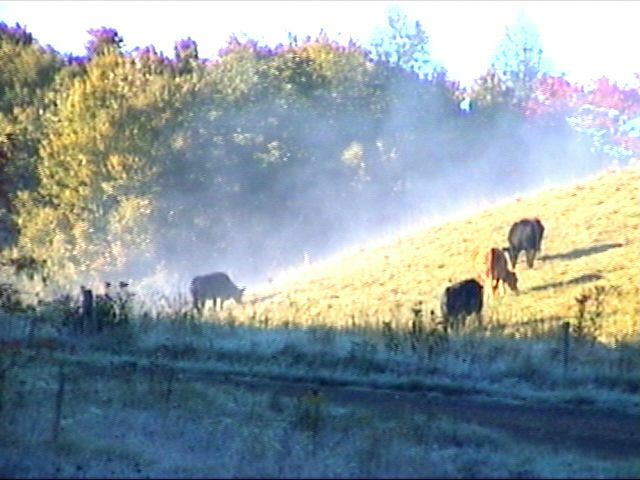 Here the mist from the pond is drifting up the hill towards the cattle. 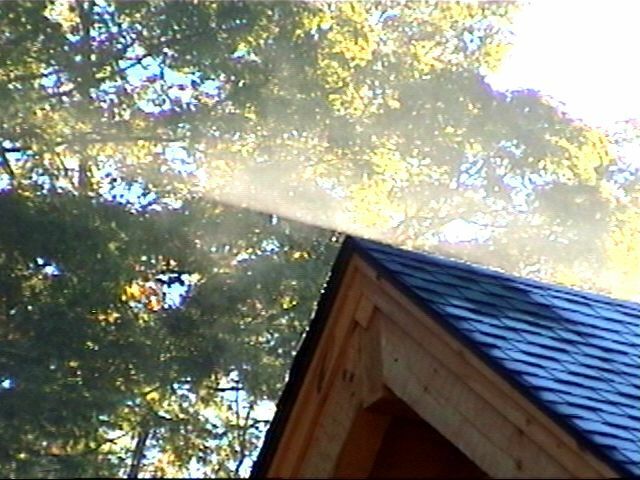 .. then the frost turns to a mist too..
.. here its vaporizing off the roof. 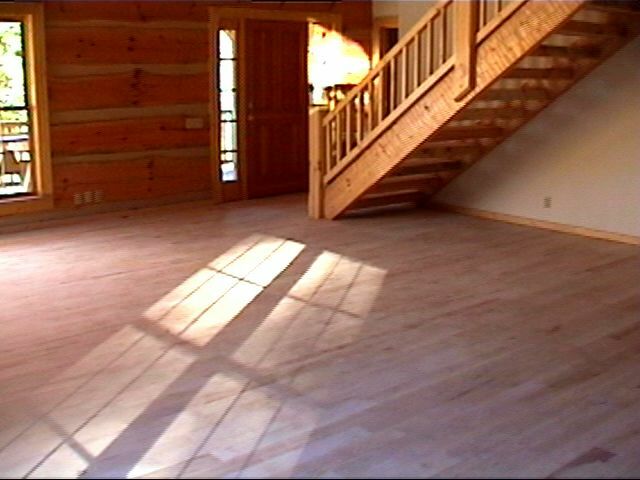 ... and this is the living room looking towards the front door. Now, every nook and cranny is absolutely covered with a thick coat of sawdust! 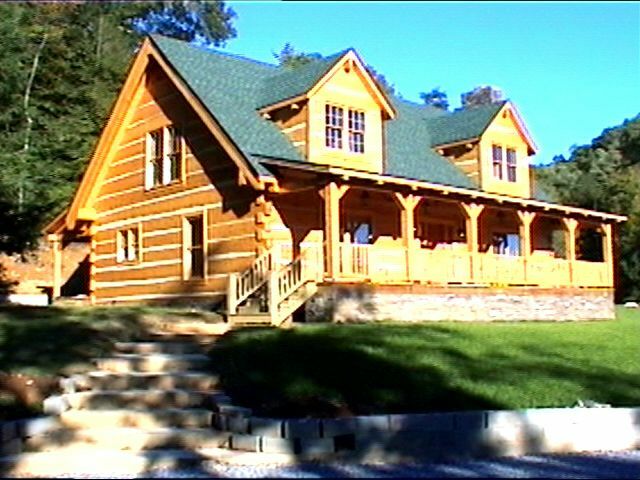 Here's a front view of the house as it is today. Still have to rock the walls and sidewalk.